In the last decade, however, the landscape of farming has changed. Land and water are becoming scarce. In attrition, the general population is now more educated about the evils of factory farming than ever before, thanks to books like “Fast Food Nation,” which was published in 2001. A younger generation has come of age with a consciousness of where their meat, eggs, dairy, and vegetables are coming from. At the same time, small, organic farms have sprung up around the nation. Young people who didn’t grow up farming, who don’t know how much work it takes have nevertheless begun to see the small, organic farm as a viable career. It is all contributed to making our food sources more visible. In most grocery stores, you can find several egg options on the shelves in addition to the traditionally produced battery cage raised eggs. The market has responded to the pressures exerted by people who are now better informed about how laying hens are treated. In my book, this is a wonderful development. If you can’t find a local farmer who keeps hens, at least there is a cage-free option on the shelf. But guess what else is happening? 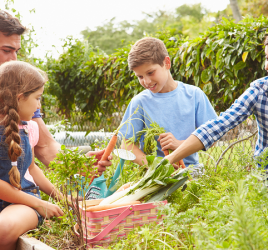 Not just on small organic farms, but in suburban backyards and cities? Even the largest cities like Brooklyn? People are growing edible gardens on their rooftops, windowsills, and fire escapes. More small-scale urban farms are popping up in cities all over the place. There are more than 1,500 in my nearby city, Detroit. However, it’s not just plants. The next generation is raising pigs, goats, and chickens. Chickens might be the gateway drug to backyard animal husbandry. They are surprisingly easy to care for, they are happy and pleasant pets, and they provide an astonishing amount of food for humans and plants. There are many potential benefits to keeping chickens. From an animal welfare standpoint, there is good evidence that battery cage kept laying hens do suffer. Even a modest backyard provides much more space for chickens to scratch, stretch, run, and forage. This, in turn, helps them produce more nutritious and delicious eggs. Eggs from chickens eating their ideal diet have more omega-3 fatty acids, less saturated fat, more vitamins E, A, and D and, more beta-carotene. And if you don’t regularly eat eggs for breakfast, in favor of a grain-heavy diet, consider the enormous health benefits of adding eggs to your diet. From an environmental standpoint, the benefits of backyard chicken keeping keep going and going. By producing your own eggs, you are eating extremely locally. You eliminate the carbon emissions associated with getting your eggs from another source, which then have to be shipped to you. What if, instead, you could use your own chicken manure to fertilize your vegetable garden? Aged chicken manure is one of the most potent and effective fertilizers out there. In fact, many organic gardeners pay good money for chicken poop. I could list many more potential goods of backyard chicken keeping, but another big one is one that may appeal to the person who already loves to garden and wants more access to nature. Animal husbandry is a pleasure in and of itself. The responsibility of keeping, caring for, and learning about a flock of birds can be a true pleasure in and of itself. Of course, it’s the kind of pleasure inherent in gardening. Yes, it is work, but its work worth doing. There is almost no greater pleasure in the world than nurturing a living thing. Of course, keeping chickens isn’t foolproof. There is a learning curve, just as with any worthwhile venture. There is an economic cost. The chores associated with keeping chickens add to your daily tasks. And you may suffer emotional losses as well, as chickens are susceptible to disease just like any other animal. Building or buying a coup, bedding, food and other necessary chicken housing is a one-time cost, but it can be somewhat significant. You do have to take this cost into account when deciding whether to raise chickens. There are also plenty of ways to make money from raising chickens. Some breeds lay one egg a day. If you have a flock of 10 chickens, that’s 70 eggs per week! Chickens are also prolific manure producers, and they will eat many of your kitchen scraps happily, thereby turning your trash into brown gold. 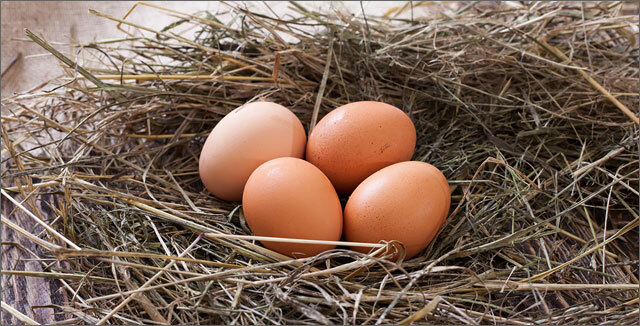 Your neighbors could very well be interested in a steady supply of fresh, organic eggs, and manure. Just as with other animals, chickens do stink. If your space is extremely limited, take into consideration how this will affect your quality of life and/or your relationships with your neighbors. Chickens require relatively clean coups and bedding, as well as fresh water and food to remain healthy, even if they are free ranging over your yard. Daily maintenance can take up to an hour, and coup cleaning is a big job which needs to be done several times a year. There is also the fact that your chickens will need care if you leave home for vacation, and veterinary services for chickens are hard to find and can be costly. If you have to euthanize a chicken for any reason, you may need to learn to do this yourself, and it can be distressing to some. Pests and predators abound where chickens are kept. Rodents love chicken feed and chicken coups, and a variety of wild predators are very interested in your chickens. If you have space, there are dog breeds bred especially for poultry husbandry which can protect your chickens. But, you will probably need to keep them inside at night, which means letting them out every morning. If you are already considering keeping chickens, these are probably things you have already thought about. You are probably already mentally fitting your chickens into your lifestyle. However, if these things make you think twice, you can always get many of the same benefits by supporting a neighbor who already keeps chickens. Backyard chicken keeping can be one of the most rewarding endeavors if you are physically and mentally prepared. By keeping your own chickens for eggs, you will reap so many benefits and do real good for the environment and gardening!